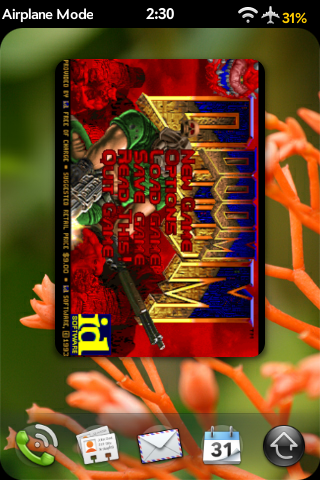 The ever industrious folks at webOSInternals, with some assistance from coder zsoc, have managed to get Doom running on the Palm Pre. They utilized hardware-accelerated graphics via SDK or Simple Directmedia Layer. What is it and why does it matter? Simple Directmedia Layer is “a cross-platform software library that enables low-level hardware access”. Essentially, this provides a glimmer of hope that Palm might allow direct access to the hardware, thus allowing for more graphically robust apps. Getting Doom installed on your Pre requires Preware, running the Terminal app and entering a few commands. With CES less than a week away, we certainly hope there is some official support for accessing the SDL. Good for developers, good for webOS device owners.